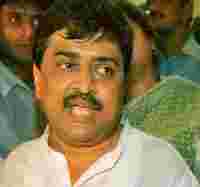 New Delhi: After three days of dithering, the Congress party on Friday appointed Ashok Chavan, currently Maharashtra’s industries minister, as the next chief minister (CM) of the state, triggering a near-rebellion by the other aspirant, the state’s revenue minister Narayan Rane. While the change in leadership is being portrayed by the Congress as a decisive move to punish the former CM for his inept handling of the terror attacks in Mumbai last week that left at least 183 dead, the delay in appointing a new CM may only reinforce the perception that the party, also the largest constituent of the United Progressive Alliance government at the Centre, cannot deliver credible governance, say analysts. “The Congress president (Sonia Gandhi) has decided to appoint Ashok Chavan as the new CLP president," senior Congress leader and the country’s foreign minister Pranab Mukherjee told reporters. In response, a visibly embarrassed Congress spokesperson Abhishek Singhvi said: “Every Congress (party) member should understand the party ethos. Only one person can fill one post." Subrata Mukherjee, professor in the department of political science at the Delhi university, said the incident was just another indication of “anti-democratization" in the country’s oldest political party. Meanwhile, talking to media in Mumbai, Chavan, the 50-year-old son of former Maharashtra CM S.B. Chavan, said he would not respond to public remarks made by “senior leader like Rane". “My priority is to support (the) people of Mumbai in their difficult times (and) also to honour those who have laid down their lives to save the city," Chavan added. The Congress’ coalition partner in the state, Sharad Pawar-led Nationalist Congress Party announced that Chhagan Bhujbal would be the new deputy CM and the home minister of Maharashtra, replacing R.R. Patil, who resigned on Monday. While former CM Vilasrao Deshmukh, too, had resigned the same day, his resignation was accepted by the Congress late Thursday evening.